Carter also said that the damage Snowden caused to the United States is "very substantial" and is still being assessed. "We are acting to reverse both of those things," Carter said. "It is quite clear that those are the two root causes of this." To correct these mistakes, Carter said, the intelligence community needs to "compartmentalize more rigidly" and not give so much access to one person, on their own. Asked about the time frame for countermeasures being put in place to stop more leaks, Carter bluntly said, "Now." Snowden, a former National Security Agency contractor, leaked classified NSA documents to the media, sparking worldwide controversy over U.S. surveillance programs. 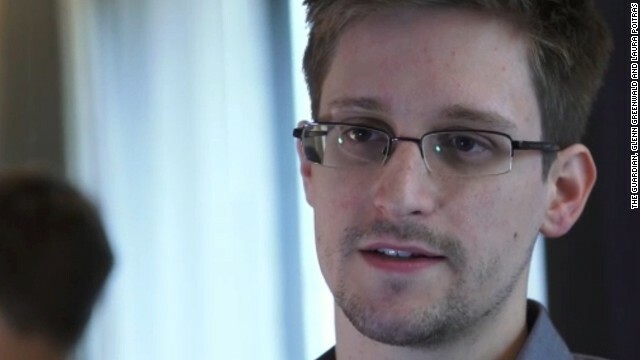 Since leaking the information, Snowden has been a man without a country. He has received asylum offers from Venezuela, Bolivia and Nicaragua, but remains stuck in Moscow's international airport because the United States has revoked his travel documents. Earlier in the session at Aspen, moderated by the New York Times' David Sanger, Carter spoke about the Pentagon's focus on cybersecurity and cyberwarfare. He laid out three priorities - defending the Pentagon's networks, attacking enemy networks and defending the nation's networks - as areas that the Defense Department is concentrating on. In that effort, Carter said, 40 new cyberteams are working at the Pentagon. In total, he said, that is 4,000 people. As for the cost of this new effort, Carter said it is "not very expensive." It is a priority for the department and will be protected from "budget hassles" that are currently looming over the Pentagon, he added. - CNN's Elise Labott and Tom Cohen contributed to this report. I'm glad to see that we're learning from my mistakes we need to stop hiring liberals in top-secret positions . I agree I'm glad to see the holes are being plugged. I agree with what was said "You had an individual who was given very substantial authority to access that information and move that information. That ought not to be the case, either." OBAMAS POLITICS LA EUROPE ASIA RED OPERATION VENEZUELA. POLITICS PAYNG TO EAT PEOPLE: CAPT PACKAGE AND SELL DATA. A mess. There's no excuse for the leaks. They were highly damaging. People thinking the government shouldn't collect data from its citizens aren't living in the 21st century where terrorism has replaced warfare. The truth is often much more painful than the lie. Anyone willing to give up all their privacy to a massive government data mining project in exchange for being marginally protected from the relatively trivial terrorist threat is a fool. "marginally protected from the relatively trivial terrorist threat is a fool"
Carter's department is chock full of practices that need to be reversed; this is hardly the most pressing one. Oh, that makes a lot of sense Dope! That is the most uninformed thought I have ever heard. It is no wonder that the Chinese, etc. have access to our military technology and our secrets. What is wrong with the people responsible for protecting our secrets? I know government employees are very good;but I hoped that our military was better prepared to protect our country & secrets. So these folks are the ones who are telling us to trust them because they have the proper processes and safeguards to make sure our data is protected? Manning not so long ago and now Snowden. These folks are a bit too confident if they think they can 100% avoid this problem. Can make it difficult but not make it go away. The root causes and preventing them is a much bigger problem than articulated by Carter. Ultimately, people have to be trustworthy, if not no amount of security will prevent this from happening in the future. The real problem in this case was Snowden should never have been granted a security clearance and access to this information.